Geronimo Stilton, editor-in-chief of The Rodent’s Gazette, never thought he’d return to the Kingdom of Fantasy. But when the Queen of the Fairies sent him a letter asking for his help, he had the strangest feeling that a brand new adventure was just about to begin. 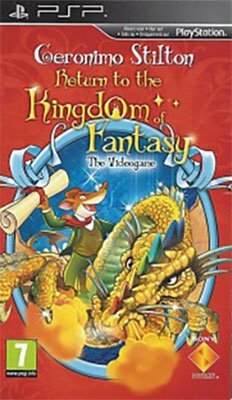 Geronimo Stilton Return to the Kingdom of Fantasy is a videogame release for the Sony PSP, based on the best-selling children’s book series published by Edizioni Piemme of Milan, Italy, since 2000.